San Diego State University appears in our ranking of the 10 Best Online Colleges for a Master’s Degree in Hospitality. Through the School of Hospitality & Tourism Management at San Diego State University, students may choose from an undergraduate degree in Hospitality & Tourism Management, an undergraduate degree in Recreation & Tourism Management, or a Hospitality graduate degree online. Each degree has several emphasis options, and students may also choose to minor in Recreation & Tourism Management. While enrolled in hospitality programs at San Diego State University, students will benefit from the connections the school has with local businesses and the internship opportunities that have resulted from those partnerships. Hospitality & Tourism Management students must gain at least 400 hours of hospitality experience before entering their third year of study. 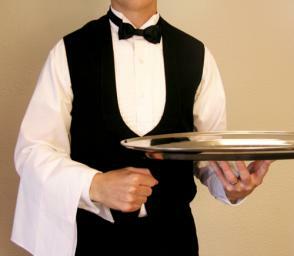 Students must also complete 300 hours of hotel or restaurant experience during their junior year and 300 hours of work experience during their senior year. Some of the companies San Diego State University students work with include Hilton Hotels & Resorts, Omni Hotels & Resorts, Marriot Hotels, Hyatt, and Starwood Hotels & Resorts. For Hospitality & Tourism Management majors, the four emphasis options available include Tribal Gaming, Hotel Management, Restaurant Management, and Meetings & Events. Some of the jobs open to students who graduate from the program include hotel manager, hotel owner, restaurant operations supervisor, international training facilitator, and business development manager. Classes a student may take in the Bachelor of Science in Hospitality & Tourism Management with an emphasis in Hotel Management include Service Leadership Development, Hospitality Leadership Theory, Hospitality Financial Management, and Rooms Division Management. Students who choose the Restaurant Management option will take courses that include Restaurant Marketing and Menu Management, Hospitality Technology, and Quantity Food Production. Students who choose the path of Recreation & Tourism Management will choose from three emphases that include Recreation Systems Management, Sustainable Tourism Management, and Outdoor Resource Management. The university describes its Recreation & Tourism Management degree as one focused on the social science aspects of the industry. Students who want to earn a hospitality degree online have access to a graduate degree offered through the university’s College of Extended Studies. Students may earn a Master of Science in Hospitality & Tourism Management, as well as participate in a number of seminars and certificate programs on topics like wine, craft beer, and event planning. Classes in the graduate degree program include Mastering Technology in an HTM Operational Setting, Theoretical Foundations of Leadership and Management in HTM, and Leading in Complex Human Systems in HTM. The regional accreditor for San Diego State University is the WASC Senior College and University Commission, and the university last underwent reaffirmation in 2016. In addition to membership with the WASC, San Diego State University is also a member of the American Association of State Colleges and Universities, the Southwest Border Security Consortium, and the Association of Public and Land-Grant Universities. 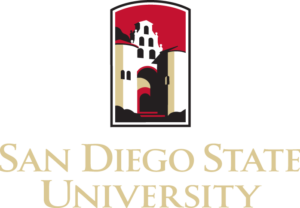 Other agencies that accredit programs at San Diego State University include the Academy of Nutrition and Dietetics, Accreditation Council for Education in Nutrition and Dietetics, as well as the Accreditation Commission for Midwifery Education. The American Psychological Association, Commission on Accreditation and the American Speech-Language-Hearing Association, Council on Academic Accreditation in Audiology and Speech-Language Pathology also accredit programs at SDSU. First-year applicants who are from the state of California will need to meet several qualifications and submit materials that include unofficial transcripts, the official application, the application fee, and the family’s financial information for the purposes of awarding financial aid. The university recommends submitting the Cal State Apply application before November 30th and taking the SAT or the ACT by that same November deadline. To qualify for admission, students must receive a minimum of C- in all college preparatory classes while in high school. Dance, music, and theater majors must meet additional admission qualifications that include an audition. Applicants to the nursing program must earn a minimum grade of B in certain high school classes that include intermediate algebra, chemistry, and biology. Tuition for students at San Diego State University is $7,488, and non-residents will pay an additional non-resident fee of $11,880. Plans for on-campus housing and food are $16,735 each year, and the university estimates that students will pay $4,939 for transportation, personal expenses, books, and supplies. The total estimated cost of attending SDSU for California residents is $29,021, and the estimated cost for non-residents is $41,042. For graduate students, the cost of tuition is $8,922, and non-residents will pay an additional non-resident tuition fee of $7,128. Housing and food for graduate students are estimated at the same level as undergraduate students, but the personal expenses, transportation, books, and supplies are estimated at a slightly higher rate of $5,484. The estimated total cost for in-state graduate students is $28,574 per year, and the estimated cost for non-residents is $35,702. By submitting a FAFSA form, students can qualify for financial aid at San Diego State University, and the Office of Financial Aid and Scholarships will work with all students to determine eligibility for financial aid and scholarships. Students may work with the Office of Educational Opportunity Programs and Ethnic Affairs (EOP) and the Office of Academic Scholarships during the financial aid process. Scholarships available to students include the UCLA Law Fellows Program, the Charles B. Rangel International Affairs Graduate Fellowship Program, the John Lewis Fellowship, and the Schwarzman Scholarship. San Diego State University routinely provides more than $100 million in scholarships and financial aid to students each semester, and hospitality and tourism management majors can qualify for valuable aid packages when they attend SDSU.